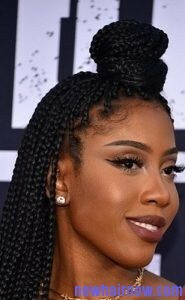 Styling your hair like the braid using a weave can give a unique look and it is mostly liked by African-American women. 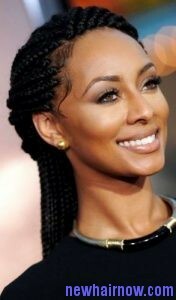 This hairstyle can be achieved using single braids to get a classic look and it can be used to create other types of hairstyle also. It is a perfect hairstyle for a casual event and creating this hairstyle can be a difficult process. First divide weave into one small section which should separate the hair into a section about one square inch. 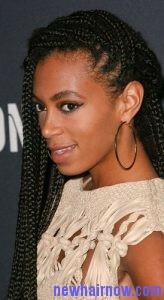 Take the rest of your weave and secure it with a hair band to keep it away during the styling process. Now take a small section of hair and divide it into three equal sections. Hold it in your right hand, take middle section in between the thumb and forefinger of the right hand. Take the section at the far left between your thumb and forefinger of the left hand. Cross the section at the left over the middle section and take it under the crook of the middle finger, then moving the middle section to the left hand. Use the new middle section to go in between your thumb and forefinger, then cross it at the far right over the middle section. Continue the braiding process until you reach the end of the hair and use the same method to braid other sections that were secured earlier.